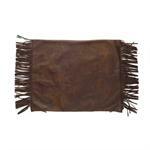 Western Style Faux Distressed Leather Euro Sham (1). Excellent choice for a Western Bedding Accessory. 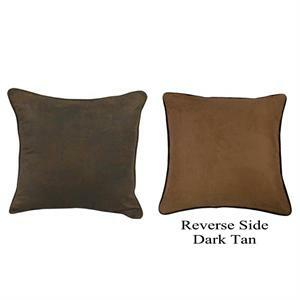 Chocolate one side and reverse side dark tan faux suede. Measures 27x27. Only (1) per package. We recommend 3 Euros for king size bedding. 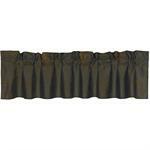 Distressed Faux Leather Chocolate Mocha Window Valance. 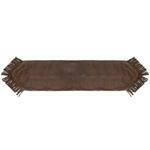 Measures 18" x 84"
Distressed Faux Leather Chocolate Mocha Table Runner with Fringe. 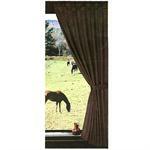 Measures 16" x 72"